E - DYKSTRA(7); HOOD(16). DP - Clemson 2. LOB - Wake Forest 4; Clemson 10. 2B - WILLIAMS(4); M. SMITH(16); HALL(2); COLVIN(20); WIDMANN(8); HOGAN(1). DEMMINK; MITCHELL; CASANOVA. SF - LINNENKOHL(2). Win - FARIS (8-2). Loss - KLEDZIK (5-4). Save - None. (SMITH); by SMITH (MITCHELL); by G. YOUNG (DEMMINK). BK - SMITH(3). 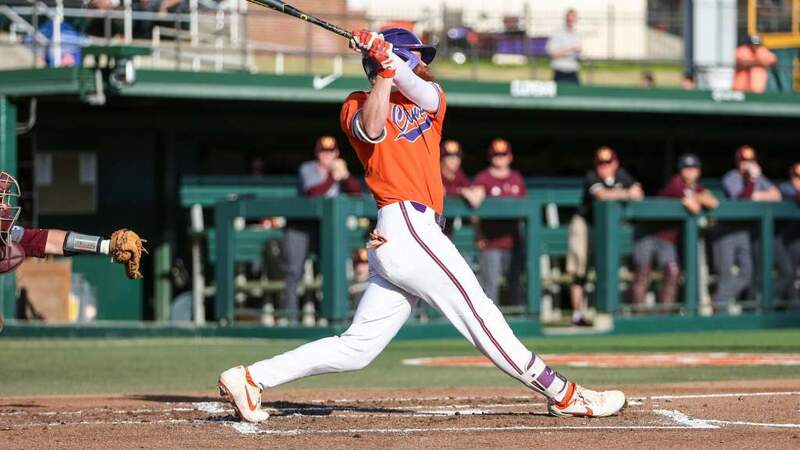 Clemson 1st - DEMMINK struck out swinging. CHALK struck out swinging. M.
scored. STORRER flied out to rf. 2 runs, 2 hits, 0 errors, 0 LOB. Wake Forest 3rd - HOOD grounded out to 3b, bunt. ROSAIA flied out to rf. GOFF grounded out to 2b. 0 runs, 0 hits, 0 errors, 0 LOB. scored. STORRER advanced to second on a wild pitch. HARBIN popped up to ss. 7 runs, 7 hits, 0 errors, 1 LOB. center. SMITH grounded into double play 1b to ss; LINNENKOHL out on the play. left center. GOFF struck out swinging. 0 runs, 0 hits, 0 errors, 0 LOB. grounded out to 2b; MITCHELL advanced to second. BURG pinch hit for D'ALESSIO. at second ss to 2b. 4 runs, 2 hits, 1 error, 3 LOB. Wake Forest 7th - HALL to 3b. MITCHELL to rf. LEGGETT to 2b. BURG to 1b. reached on a fielder's choice to third base; ANTONELLI out at second 3b to 2b. singled to left field; DYKSTRA advanced to second; OCHELTREE advanced to third. for BYRUM. HALL homered to left center, RBI. COLVIN struck out looking. balk. 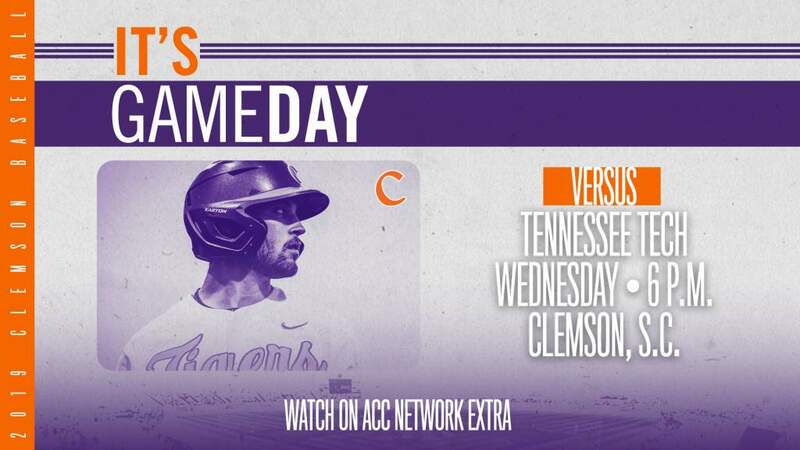 BURG homered to left field, 3 RBI; LEGGETT scored; MITCHELL scored. field. GOFF grounded into double play 2b to ss to 1b; ROSAIA out on the play. ANTONELLI out at first 2b to p. 0 runs, 1 hit, 0 errors, 0 LOB. advanced to second on a wild pitch; MITCHELL advanced to third on a wild pitch. swinging. DYKSTRA grounded out to 2b. WILLIAMS doubled down the lf line. LINNENKOHL flied out to lf. 0 runs, 1 hit, 0 errors, 1 LOB.